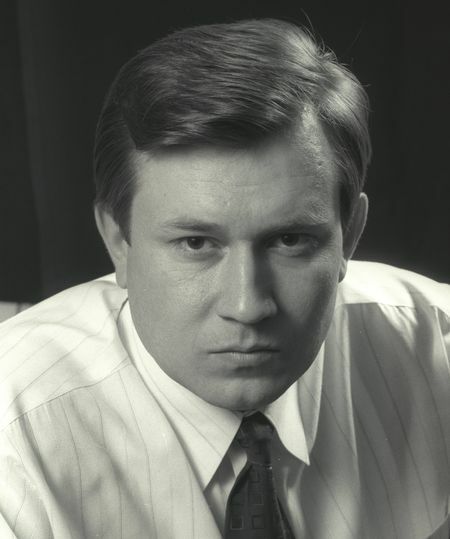 Born in November 14, 1963 in the community Kirovsky (village Bogara), Kirovsky district, Chimkent region, Kazakh SSR. Graduated from the faculty of applied mathematics and mechanics of Tashkent state University with qualification «Mechanic», then received medical education in the field of «Medical business» with assignment of medical qualification «medical assistant». Author of a number of technologies and works in the field of disaster prevention, full recovery of the organism, sustainable eternal development and eternal life. Individual results of works in mentioned areas, obtained with the use of my abilities of clairvoyance and forecasting, are published in the books «The Practice of Control. The Way of Salvation» volumes 1, 2, 3, are grounded by the works and different diplomas and of scientific and social systems. The author of the Teachings of Grigori Grabovoi registered as works in the Copyright office of the Library of Congress of the United States. The results of practitioners the Teachings are published in the books «The Practice of Control. The Way of Salvation. The Results of practitioners the Teachings of Grigori Grabovoi» volumes 4, 5, 6. To certify that I am the only author and exclusive copyright holder of my works and inventions for the purpose of their unlimited dissemination I received patents, registered the works in the Copyright Office of the Library of Congress of the United States and became the owner of trademarks, allowing use the license right for the dissemination of works and technologies without distortion. Description of my utility patents “Process of preventing catastrophes and the device for its implementation” № 2148845 dated by May 10, 2000, and “the System of transmission of information” № 2163419 dated by February 20, 2001 is published in the Internet on the official site of Russia’s Federal Office of Intellectual Property, www1.fips.ru. Address: Berezhkovskaya nab., 30, b1, Moscow, Russia, G-59, GSP-5, 123995, Phone: +7 (499) 240-60-15, fax: +7 (495) 531-63-18. My works are registered in the Copyright Office of the Library of Congress with the following registration data: TX 7-324-403 dated by February 06, 2008, TXu 001-607-600 dated by February 08, 2008, TX 7-049-203 dated by February 12, 2008, TX 6-975-628 dated by February 13, 2008, TXu 001-738-573 dated by June 01, 2009, TXu 1-789-751 dated by July 25, 2011, TXu 1-789-752 dated by August 09, 2011, TX 7-485-879 dated by August 09, 2011 (Uchenie Grigoriya Grabovogo) . Address of the official site of the Copyright Office of the Library of Congress containing the registration data http://cocatalog.loc.gov. Address of the Copyright Office of the Library of Congress of the United States of America: Library of Congress United States, Copyright Office, 101 Independence Avenue SE Washington, DC 20559-6000. I registered trademarks of my own of the European Union “Grabovoi ®”, reg. number № 009414673 dated by September 30, 2010 and of the European Union “Grigori Grabovoi ®”, reg. number № 009414632 dated by September 30, 2010. Data about the trademarks are given on the official website of the Office for Harmonization in the Internal Market of the European Union registering trademarks http://oami.europa.eu/ows/rw/pages/index.en.do. I also registered of my own in the International Bureau of the world intellectual property organization (WIPO) the trademarks „Grabovoi®“ and „Grigori Grabovoi®“, registration number № 1106610 dated by April 01, 2011, covering under the Madrid Protocol the territories of Australia, China and Japan. Data about these trademarks are given on the official website http://tmview.europa.eu/tmview/ Address: 34, Сhemin des Colombettes, 1211 Geneva 20 Switzerland; тelephone + 41 22 338 91 11. I am an exclusive rights owner of registered trademarks of Australia „Grabovoi®» with registration number № 1477713 dated by July 02, 2012 (the filing date March 01, 2012) and „Grigori Grabovoi®» with registration number №1477714 dated by July 02, 2012 (the filing date March 01, 2012). I am an exclusive rights owner of registered trademarks of China (People`s Republic of China) «GRABOVOI®», registration number № G1106610 dated by October 01, 2012 (the filing date March 01, 2012) and «GRIGORI GRABOVOI®», registration number № G1106611 dated by October 01, 2012 (the filing date March 01, 2012). Data about these trademarks are given on the official website of the State Bureau of Intellectual Property of the People’s Republic of China (SIPO) http://sbcx.saic.gov.cn/traide/ Postal code: 100028 Postbox: No.100088 mailbox, 104 branch, Beijing, China E-mail: chinatrademarkdatabase@gmail.com Address: Room 213, № 14 Shuguangxili, Chaoyang, Beijing, China. I am an exclusive rights owner of registered trademarks of the United States of America «GRABOVOI®», registration number №4329566 dated by April 30, 2013 (the filing date March 02, 2011) and «GRIGORI GRABOVOI®, registration number №4392730 dated by July 19, 2013 (the filing date March 02, 2011). Data about these trademarks are given on the official website of the United States Patent and Trademark Office registering the trademarks http://www.uspto.gov Address: P.O. Box 1450, Alexandria, VA 22313-1450, Telephone 1-800-786-9199; Email: TrademarkAssistanceCenter@uspto.gov. I am an author-member of the copyright society of the Federal Republic of GERMANY VG WORT. The registration №1103135 dated by September 30, 2011 is published on the official website of www.vgwort.deon page https://tom.vgwort.de/portal/index. Address data VG WORT: Goethestraße 49, 80336 München; Phone (089)514120; Telefax(089)5141258; E-Mail:vgw@vgwort.de. Знания Григория Грабового дают возможность человечеству научиться Жить Вечно в своём физическом теле- это то, о чём мечтал человек тысячелетиями. Благодарю Вас, Григорий Петрович, за Божественные Знания для нашего спасения и вечного гармоничного развития! Knowledge Gregory Grabovogo enable humanity to learn to live forever in his physical body is what people dreamed tysyacheletiyami.Blagodaryu you, Grigory Petrovich, for divine knowledge for our salvation and eternal harmonious development! Simplement merci pour vos travaux, merci pour tout ce que vous faites pour l’humanité, merci !